Eat your heart out, Sundance. 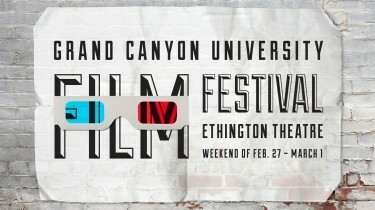 The Grand Canyon University Film Festival may not have the celebrity status or polished professional aesthetic of more prominent film festivals, such as Sundance in Park City, Utah, or Cannes in France, but the University’s talented crop of digital film and production students makes this weekend’s event a must-see. The ninth annual festival will feature screenings of 24 short films shot, produced and edited by GCU students. The film program, which was reinstated with other College of Fine Arts and Production programs in 2008, has earned recognition in Phoenix for its quality student work. Many students have professional experience, including filming Milwaukee Brewers spring training, Arizona Cardinals games and episodes of Discovery Channel reality shows. 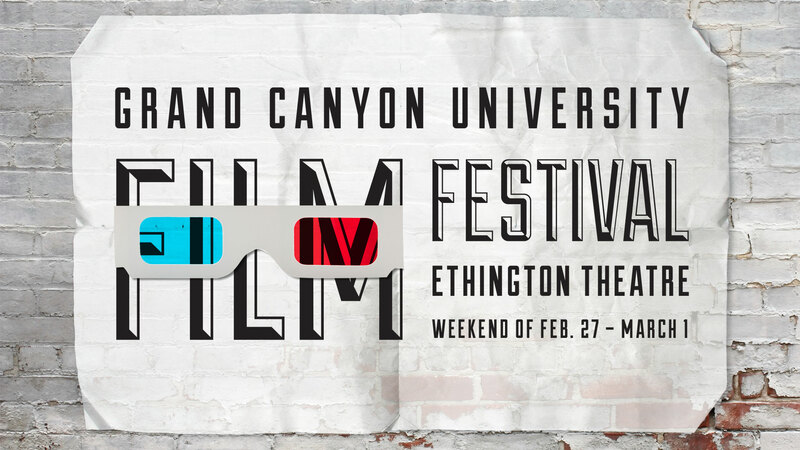 GCU’s Digital Film and Production program will hold the ninth annual Student Film Festival this weekend. Screenings are scheduled for 6-9 p.m. Friday and Saturday with an awards ceremony at 7 p.m. Sunday, all in Ethington Theatre. Awards will be made in six categories in addition to an award for best overall film and a fan-favorite elected by students. Categories are animation, comedy, documentary, drama, faith and music video. This festival has a new three-day, multiple-award format. Previous festivals held screenings and the awards ceremony on the same day and often featured less than 10 films. Lisa Tervo, interim chair for GCU’s Digital Film and Production program, said students wanted to create a format similar to prominent festivals, to mirror the growth and success of the program. “By growing the festival to three days, it shows the mission of the program, which is to get our students and their work seen by the community,” said Tervo, who joined GCU as a faculty member in 2011. “Having judges in the industry who are willing to screen the films helps solidify GCU as a national film program, which will continue to grow and gain notoriety,” she said. Film students sophomore Tyler McDonald, junior Anthony DiMaria and senior Aidan Lindberg created a quirky promo video starring Alexander, which comically portrays the festival’s “amateur” nature.